The species was first recorded in Britain from Leicester in 1996 (Daws 1997b). It is widespread in western and southern Europe but absent from Scandinavia. 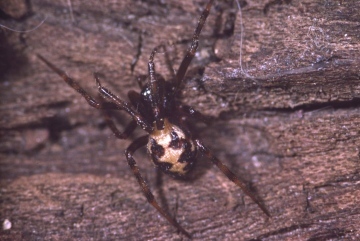 This species produces a scaffold web in and around houses where it feeds on crawling insects, especially ants. The males are mature in summer and autumn, the females possibly all year. The spider is probably an introduction. It should be looked for in centres of population in southern Britain.